The sensitive nature of your lips would not only suggest the need for extra care and caution but also continue to indicate or remind us of the reality that they are vulnerable for degeneration with time. Awkward and odd appearance of your lips is such a difficult thing to experience because we all are well aware of the significance of lips in determining the impression of your face as well as your overall personality. Apart from being cosmetically important, your lips are also known for performing multiple functions and are responsible to help you sustain your oral health and hygiene. In spite of all the challenges and limitations you may experience in terms of sustaining your lips, you can always keep your options open for cosmetic reconstruction and revival. At our Sheffield Clinic, we perform lip enhancement with Lip Fillers or Dermal Fillers which is one of the highly recommended procedures across the world. There are several documented reasons for the gradual deterioration of the cosmetic appeal of your lips with time; they in fact vary from one person to another depending on multiple factors. It might very well be a natural process which has its dependencies on diet, personal care and external exposure to environment. Irrespective of what the cause is, it is good to consult your cosmetic expert when you notice considerable changes at the earliest. Lip enhancement is also an option if you have natural lips that are not cosmetically appealing. Lip Fillers often represent the importance and significance of cosmetic therapies that are emerging to provide corrective and reconstructive options. They belong to the new class of cosmetic treatments and procedures with no surgical intervention required. The reason why you will consider any cosmetic solution is not for any immediate healthcare improvement; instead your objectives are more inclined towards physical change and outward appearance. 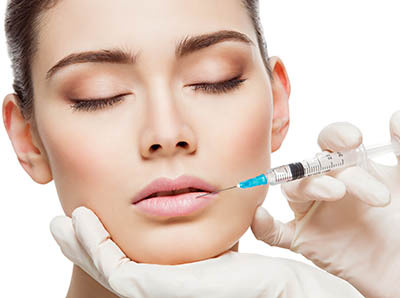 Dermal fillers used in lip enhancement procedure indicate the possibility of approaching cosmetology for routine purposes of beauty enhancement and maintenance. The procedure of facial enhancement or lip enhancement is made easy with the introduction of dermal fillers. When they are specifically used for lip enhancement purposes, they are referred as Lip Fillers. At our Sheffield Clinic, we prefer and recommend Lip Fillers for their reliability and possibility of experiencing instantaneous results. Cosmetic solutions are preferred and appreciated if they are meant for considerably long term application while having the possibility of changing the course of treatment in the future. In simpler terms, it is always preferred if the therapy do not induce permanent physical changes. It is exactly the case with Lip Fillers and therefore recommended for cosmetic lip enhancement process. It is also important to consider the maturing trends in cosmetology where the demand is about specifically targeted solutions that are also exclusive in nature. Juvederm Smile® injections are prescribed at our Sheffield Clinic for the sake of lip enhancement; they are nothing but the Lip Fillers that are injected into the targeted regions of your lips to help facilitate their fuller view and impression. Our cosmetic expects would take the whole procedure in a methodical way which begins with consultation and ends with orientation about the post therapy care and maintenance. You will be duly guided about the precautions and the whole process of consultation is to help you understand the benefits of lip enhancement, details about how the procedure is performed and guidance about the preparatory phase. You wouldn’t need a lot of preparation for undergoing lip enhancement; in fact you can visit our clinic for consultation and undergo the therapy on the same day, depending on your preparedness and convenience. Since the procedure would require only around thirty minutes, it is wise for you to opt for it immediately after you are convinced about the treatment prospects and outcomes. The dermal fillers we recommend are based on our experience and expert review of their properties, our choice of Juvederm Smile® is also depending on its unique potential to provide a unique natural look which may not be possible with some other Lip Fillers. However, in case you have any predetermined plan of undergoing lip enhancement with any other dermal fillers, we shall facilitate them for you depending on our comparative evaluation of their advantages and limitations. The core procedure as mentioned before is about smartly injecting the dermal fillers. Your lips are clinically sanitized before injecting the Lip Fillers; the procedure would require the application of fine injections and it has to be done in multiple phases after giving short break after every injection. Your lips are gently massaged after the dermal fillers are adequately positioned to help them evenly distributed. Our Sheffield Clinic may be your ideal choice for lip enhancement as we continue to upgrade our facilities and even the processes to align with international standards. Even though there is no major cause of concern or worry when you opt for Lip Fillers or enhancement therapy with dermal fillers, it is good to be considerate about the precautions and suggestions about post therapy care as per the recommended norms. Though the primary purpose of lip enhancement is to bring about a cosmetically impressive change, your preparation and focus should go beyond cosmetic appeal alone. You must consider the impact of the therapy in terms of your facial shape and structure your lip enhancement may relatively change the overall presentation of your face. Since the procedure involves the application of series of injections on your lips, it is natural to experience swelling and other related injection site reactions. Normally all such reactions will reduce on their own within 24 to 48 hours without any special medical treatment. Do contact your treating physician if you find any sustained abnormality. Nu Cosmetic Clinic is a reputed name in cosmetology with dedicated centers for cosmetic care and treatment across the UK. You can be confident about the care and support you get from other locations at par with the Sheffield Clinic.